So what have you been up to this summer? As you know, up until this past weekend, I had not fulfilled my summer quota of fun sunshiney activities — no beach, no pool, no picnic. With school looming ahead of me (teacher meetings start tomorrow), something had to be done. Quickly. My friend Vada saved the day (er, the season?). We Jazzercise together and she invited me to join her and a group of her fun friends for a road trip. It was her friend Lori’s birthday and they were headed to Raffaldini Vineyards in Ronda, NC. When she first suggested it, I wasn’t sure. I don’t drink, so what would I do at a vineyard? Would I end up counting grapes in the corner as everyone else played wine pong (that’s what they do at vineyards, right)? As it turns out, though, Vada doesn’t drink either, and she was certain it would still be fun. I’m up for fun! I told her to count me in. I’m so glad I went, because it was fun. 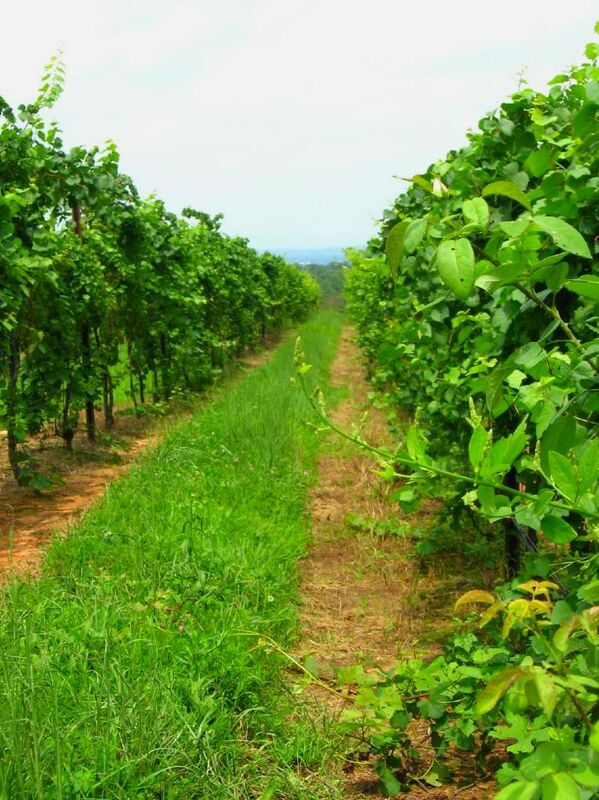 Turns out, vineyards are beautiful — or at least Raffaldini Vineyards certainly were! 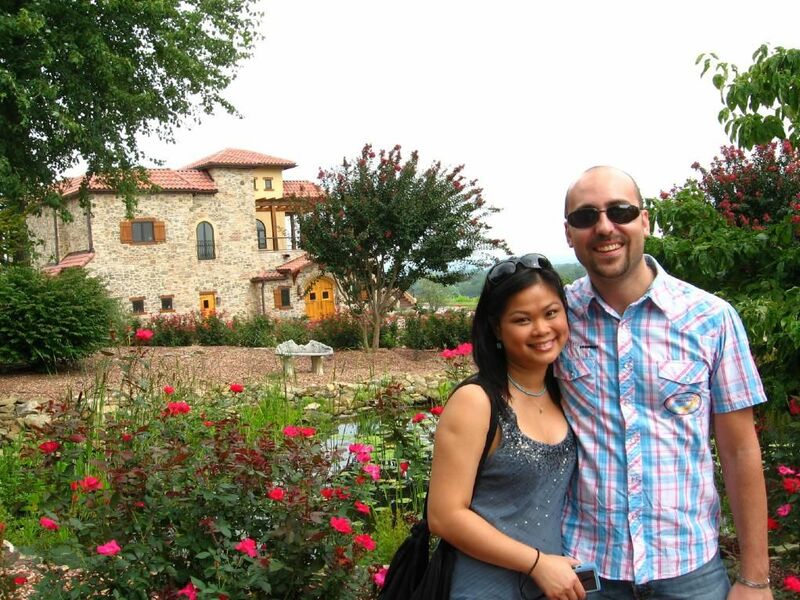 We drove about an hour out of Charlotte and suddenly it felt like we were in Italy. Vada’s friend Luca, our resident Italian, agreed that it reminded him of home — a nice stamp of authenticity. As promised, fun ensued. First, we ate a lovely picnic on an outdoor patio overlooking the vineyards and mountains in the distance. The vineyards offered a whole menu of food you could purchase on-site, but I brought a little packed lunch to save money. I also brought this bright, summery Lemon Loaf Cake, which was moist and traveled so well. Vada, who is an absolutely extraordinary cake decorator, brought cupcakes along. We had quite a feast! After our picnic, we took a brief tour of the vineyard, learning about the soil, growing practices, and types of grapes grown. While others enjoyed a wine tasting, Vada and I took a walk around the grounds and had a photo shoot. 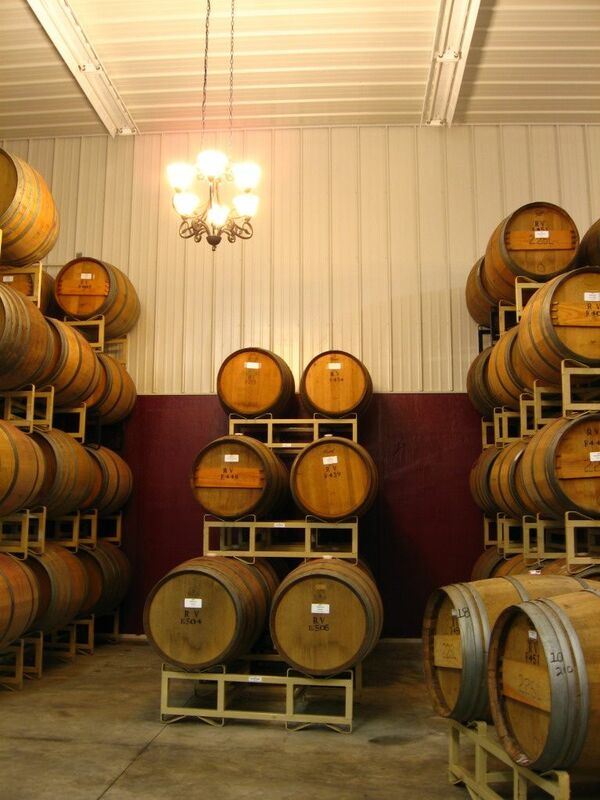 Finally, we took a tour of the winery and learned how the wines were made. It was so informative — not being a drinker, I tend to think of grapes as the basis of jelly and “tannin” as something you do at the beach. I learned a lot! The best part? The entire day only cost me $8 — and that included buying a bottled water on-site. Vada’s gorgeous cupcakes and the quick Lemon Loaf Cake packed for traveling! This one little day trip kind of made my summer! It was filled with sweet people, good food, beautiful surroundings. How about you? Does one event or activity this summer stand out as your favorite? You can relive part of my end of summer fun by making this quick, simple loaf cake for yourself. It has a tangy, drenched lemon flavor that will help you kiss the summer days farewell. 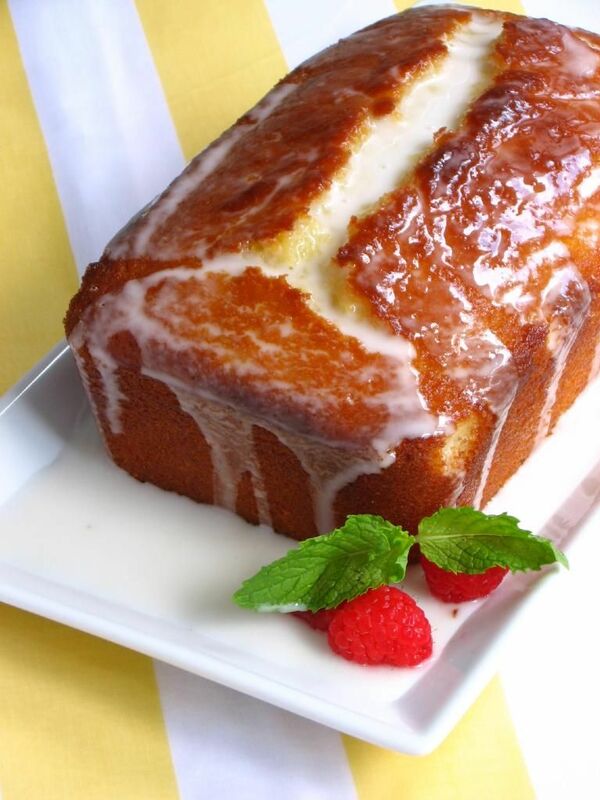 A delicious, tangy, easy lemon loaf cake. Be careful not to overbake! Preheat the oven to 350 degrees F. Grease an 8 1/2 x 4 1/4 x 2 1/2-inch loaf pan (I use Wilton’s Cake Release). Line the bottom with parchment paper and butter and flour the entire pan. Sift the flour, baking powder, and salt together into a medium bowl. In a large bowl, whisk together yogurt, 1 cup of the sugar, eggs, lemon zest or extract, and vanilla. Slowly add the dry ingredients into the wet, whisking to combine (I did this in 2-3 additions). Use a rubber spatula to fold the vegetable oil into the batter until it’s fully incorporated. Pour into the prepared pan and bake for about 50 minutes, or until a cake tester stuck in the center of the loaf comes out clean. While the cake is baking, combine the 1/3 cup lemon juice and remaining 1/3 cup sugar in a small saucepan over medium heat and cook until the sugar dissolves and the mixture is clear. Set aside. When the cake is done, allow it to cool in the pan for 10 minutes before removing it and placing it on a baking rack over a sheet pan. Use a cake tester, wooden skewer, or toothpick to carefully pierce holes throughout the cake (I used a toothpick so the holes wouldn’t be too obvious, but a skewer might have made deeper holes in the cake, allowing more syrup to get through). While the cake is still warm, pour the lemon-sugar mixture over the cake and allow it to soak in. Cool completely. In a small bowl, combine the powdered sugar and lemon juice, whisking to form a smooth glaze. Pour over the cake. 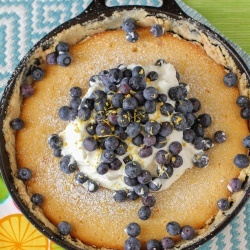 Slice and serve with fresh berries, whipped cream, or ice cream. Love this post it’s awesome!!! I am so glad you had fun!!! Your lemon cake looked AMAZING!! That shot of my back would look a little different taken today seeing as how my lobster red skin would totally clash with my pink dress LOL!! You are right it was an amazing day filled with fun and friends!!! LOL — I totally had burnt shoulders, Lori, so I know just what you mean! Thanks so much again for including me! It was a blast! Thank you for your recipes.I enjoy watching you on your cooking show. sometimes the least expensive outings can be the most fun (oftentimes, actually). 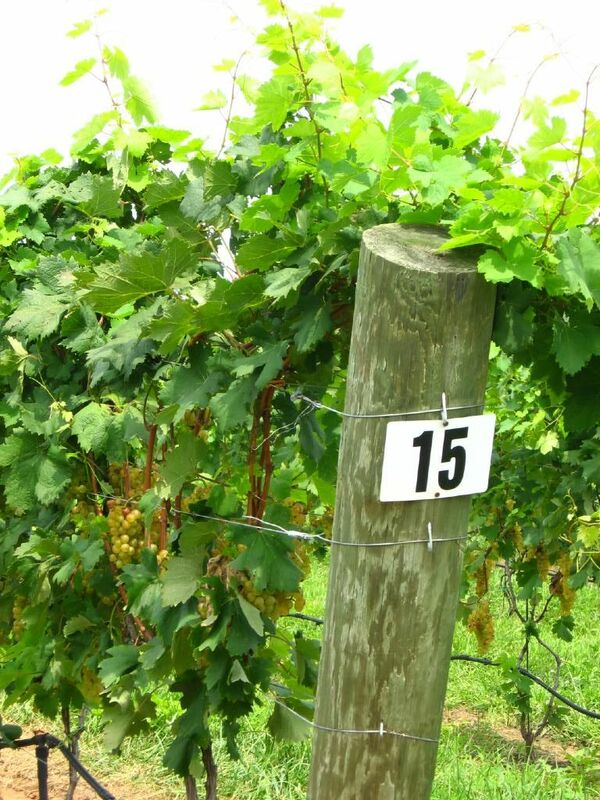 I love that you took a chance on a vineyard even when you don’t imbibe. Fun is the company you are with, not necessarily what you are doing. And what you are eating of course! Everything looks delicious. I would love a slice of your sun-drenched lemon loaf! You’re right about the least expensive outings, too! Your pictures are wonderful! Such beautiful vines! And that lemon loaf – just perfect! What a fantastic picinic food. It looks so lovely in that basket. 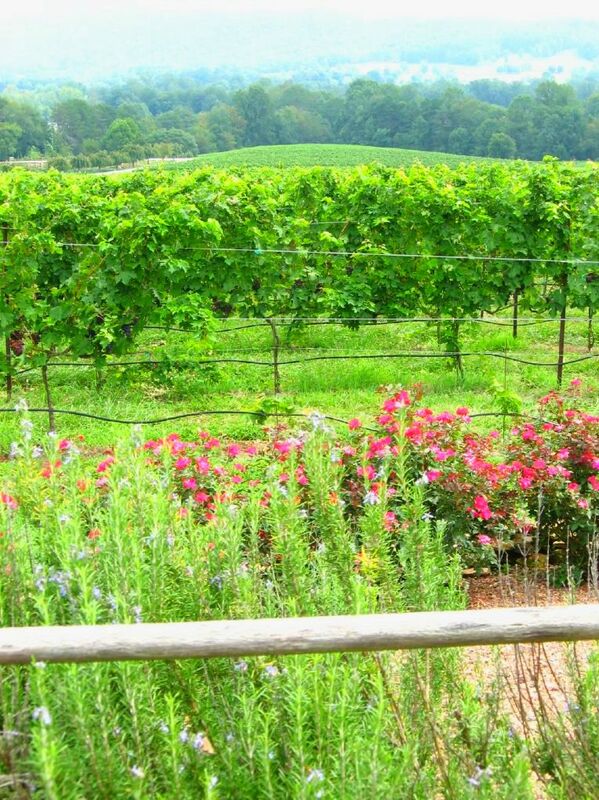 Oh my goodness… that vineyard is gorgeous. I’m sure it could easily transport one to Italy. 🙂 And that lemon loaf cake is something I wish I had a piece of right now. I’m impressed with the frosting skills on those cupcakes. Good luck with the start of the new school year! That sounds like a lovely day! The vineyard looks beautiful, as does your lemon loaf (and cupcakes.) What a nice way to end your summer holiday! Oh lovely! I’ve always wanted to go to a vineyard but I don’t drink so I figured there was no point. These pictures make me want to go! That first pic is my favorite. I made this cake several years ago but I made it at high altitude while we were on vacation and it didn’t rise much at all. I remember it having good flavor though. I’ve also made a tangerine version of this and topped it with a chocolate glaze. yummy! Glad you were able to get away and wrap up your summer with great friends and beautiful scenery! Vineyards are beautiful. I love the taste of the wine grapes compared to store bought. Your loaf cake looks yum!! Thanks Courtney! 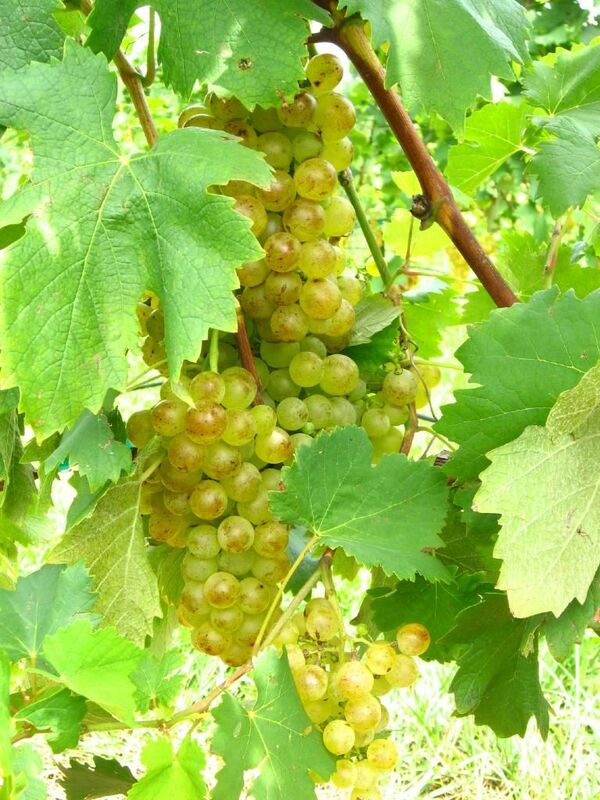 The grapes were sweeter and softer, yum! Apparently since they aren’t bred to be shipped, they can afford to be more delicate. Yum! Aw, thank you 🙂 It was beautiful weather! You were practically in my backyard! Raffaldini is a gorgeous vineyard and a great place to visit. They also host seasonal wine tasting dinners that are great. (Next one is October 2nd). 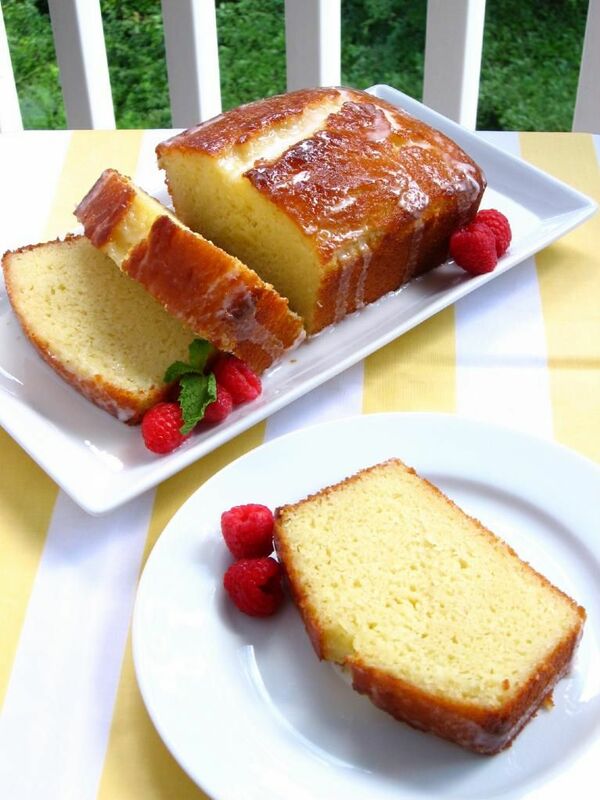 Ina’s lemon yogurt cake is one of my favorites. It’s easy and so flavorful. I augment the glaze with limoncello for an extra bit of flavor. Aw, so neat! We live so close! Oh, I love this cake! I make this all the time! I made it with her blueberry sauce and it was SO GOOD. Definitely a hit with everyone. Yum, blueberry sauce!! Nice addition! I feel like I was blessed to have so many great summer activities this year, it’s hard to pick just one! 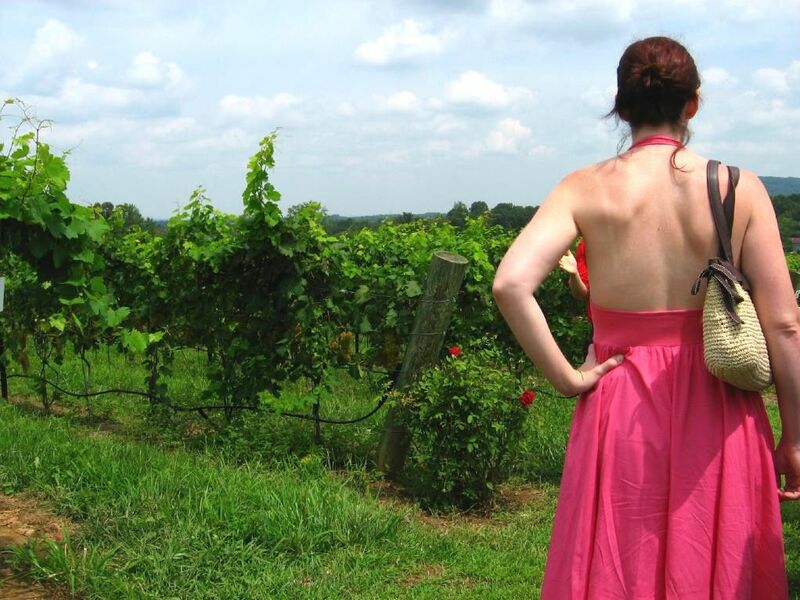 Amongst my favs are a trip me and the bf took to Badin,NC (where we also got to partake in a little vineyard action! ;)), a trip to see my family for my niece’s 5th bday, and of course my birthday trip to Charleston! 😀 I hate to see this summer go, but I’m definitely looking forward to the fall, as well, since there’s a whole other slew of fun outdoor activities that come with that (apple orchards, pumpkin patches, etc.)! I love it — your summer was packed with fun! I need to get better about doing all the fun outdoor events — I tend to skip them because Mike’s kind of a homebody. I hate to drag him along, but don’t want to go alone! What an amazing place! 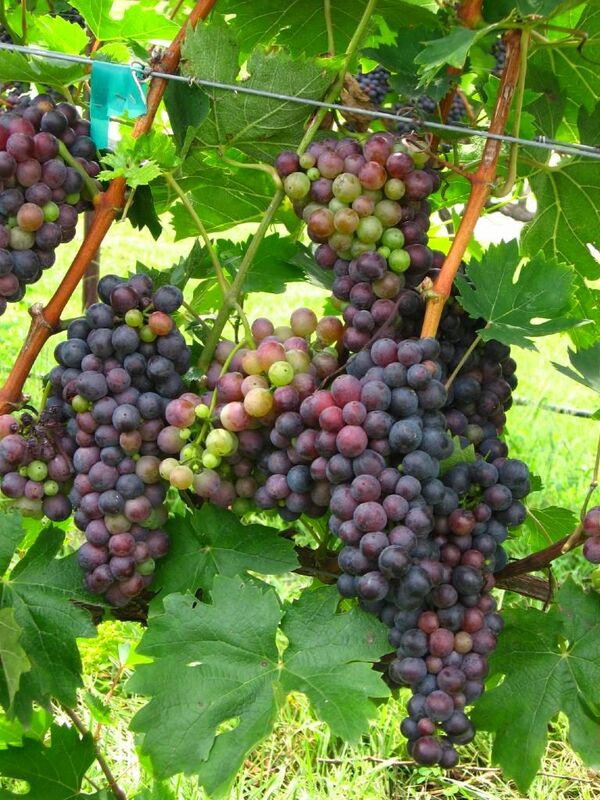 I love the colors, smells and especially the taste of the grapes right from the vine. Your lemon cake was mouth watering. I’ve tried her recipe too… isn’t she great? 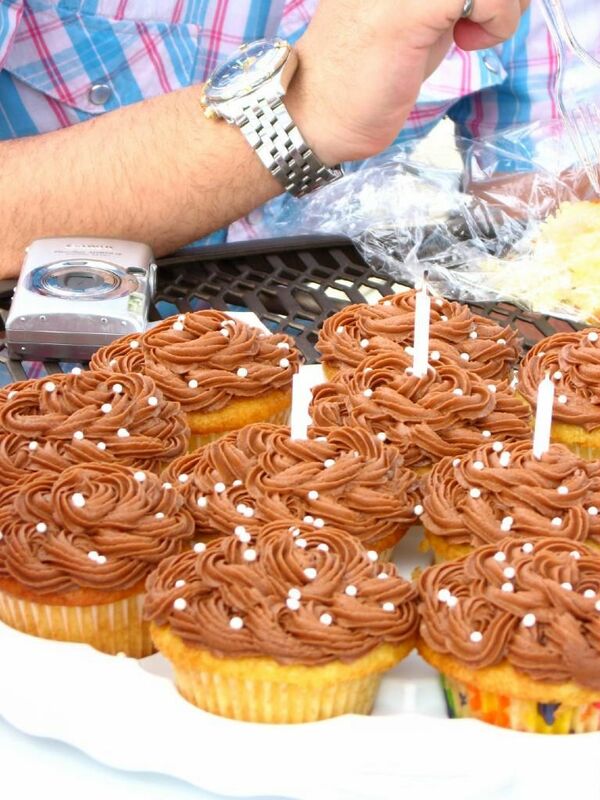 I wish I could just grab a slice of your cake AND one cupcake too! Great job, girl. Keep it coming! It wasn’t quite summer (late April-early May) but my favorite memory this year was our 2-week road trip to Las Vegas for my 40th birthday! We had so much fun (my husband and I went with our good friends Tim and Mandy) and we ate some wonderful food along the way. I’m still drooling over the BBQ we ate! 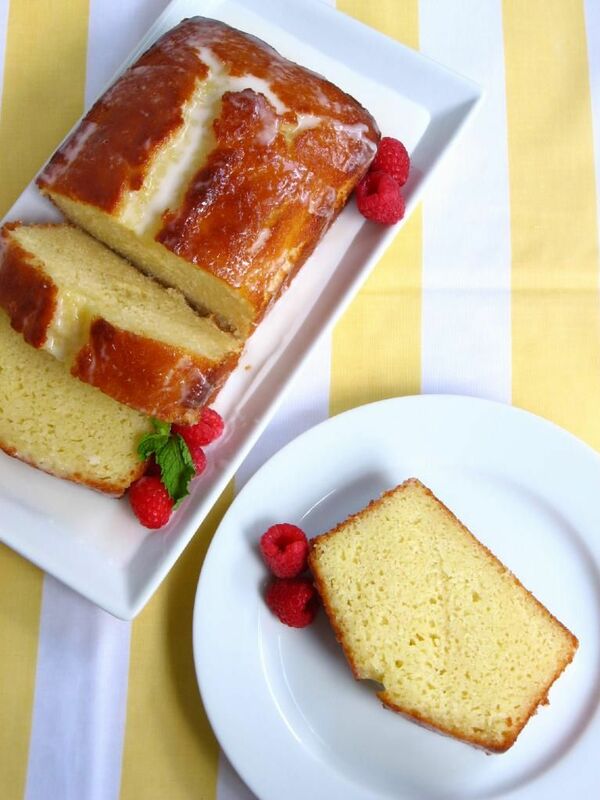 This cake looks wonderful…lighter than a pound cake and with that yummy lemon tang. I’m definitely making this! Forget the food. Everyone comments on the food. I think you talk absolutely amazing photos. All your picture make the site , are they done on your property? Aww, thank you so much, Maria! This means a lot to me, since I’m an amateur and have been trying all sorts of things to better my photography since the beginning of the site. Your photos are gorgeous…made me feel like I’m not in cold, rainy Boston right now. I’ve wanted to try that recipe for some time. Thanks for sharing! I love doing stuff like this & summer or anytime of the year we tend to get really busy & don’t get out amongst the fabulous vineyards enough, they are so beautiful. The cakes looks brilliant – what a great party. What a beautiful place to visit. I’ve never been to a vineyard either, but will have to remedy that one of these days. Your cake turned out beautifully. I love Ina and haven’t made anything of hers that hasn’t been fabulous. Thanks, Megan! It was really great! I remember you tweeting this and thinking it sounded like fun. After hearing your story and seeing the pictures now I’m sure of it! I really need to get up into the wine country and visit a few of these places. And that lemon loaf cake! It looks absolutely sinful. Yum! It was so much fun, Julie! And so close by! Your lemon cake looks luscious! I love how you sliced it and wrapped it individually. Great idea. 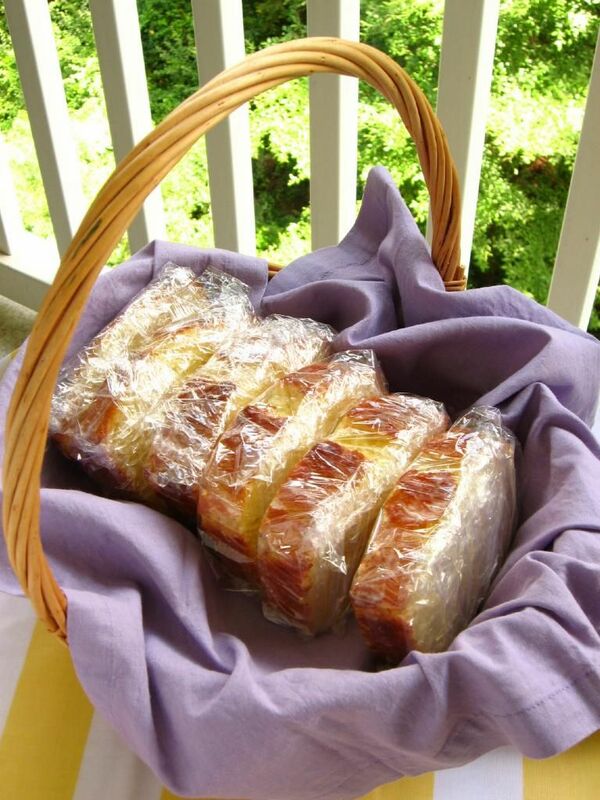 The vineyard looks beautiful and the pound cake looks awesome! YUM!! Nice place and the pound cake so good. Just came across your blog. Very nice! Aw, I’m happy you did too, LaChelle! 🙂 Thank you! Gosh, what glorious photos! I don’t know which is more beautiful–the lemon pound cake that looks absolutely luscious, or the fantastic vineyard. Really a feast for the senses! Yum!!! Those pictures are beautiful and that lemon loaf looks so moist and delicious! I think that’s the same loaf that I am making in September with my baking group! Great job! I’m so glad you were able to have a great day at the vineyard. I think this is like an orange cake we just baked in a new group, “Ina’s Garden”. It looks yummy and our orange cake was also. Ina gets a gold star for these. Would you link this to our very first posting? I think it would be great for people to see both the lemon and orange cakes. I love lemon – it’s my absolute favorite flavor! I recently made the lemon loaf recipe you have here & was a bit disappointed with the amount of oil. I was able to taste the oil over the lemon flavor when it was done. If you were going to substitute butter for the 1/2 cup oil, how much would you use? Oh, funny — I couldn’t taste oil at all, and never have in a cake baked with it. Did you perchance use olive oil instead of other vegetable oil? Olive oil’s flavor is a bit too strong for this. If you do substitute butter, the cake will be a little drier, but the glaze should help. I’m not sure, but you may be able to sub 4 parts butter for every 3 parts oil in a given recipe: http://www.foodsubs.com/Fatsoils.html. Make sure it’s room temp and cream it with the sugar before adding the yogurt, etc. Let me know how it goes. I made this three times in a week. Everyone LOVED it. The cake was soft and a beautiful lemony aroma. Thank you 🙂 Looking forward to several new exciting recipes. I’m so glad to hear that, Prachi!! Thank you for trying it out! WOW, I have been baking lemon loaf for many years. This is the best, it is so tasty, sweet but tart and the lemon in both the batter and the glaze is phenominal. Thank you, Cheryl! I’m so glad to hear that! Thank you.It will be a keeper for us. Just made this pound cake, can’t wait to try it! Waiting for it to cool down.. don’t know if I’ll be able to resist tasting it before everybody else comes home! The middle of my loaf is higher than the rest.. do you know what I did wrong? Maybe just need to bang it a bit before baking it to even it all out perhaps? Don’t think it will affect the taste, just looks a bit funny.. and took longer to cook than 50 minutes! Hey Shirley, I’m sorry to hear that! A few things might have happened. Sometimes cakes don’t rise if overmixed. Alternatively, if your baking powder is out of date, it might cause this. I hope that’s helpful!! Found your recipe on Pinterest and made this yesterday! What a hit – everybody loved it! Thank you so much for sharing – totally delicious! Hooray! 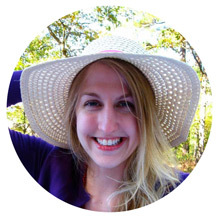 Thank you, Candice! So glad to hear you loved it. Do I have to use a loaf pan or can I use a springform or a bundt pan?? This is addictive, oh my! This recipe really does allow for lemon to be the star here. And the loaf was such a beautiful color. We just loved it, I think I will make this to give the teachers as gifts for my kids classroom easter parties coming up, they will love it I’m sure! Thank you for sharing as I don’t follow Ina Garten that closely. Maybe I need to start! Do you have to use kosher salt? If not how much table salt should I use? Made this lovely lemon pound cake after a very nice Mothers Day. My honey takes such great care of on this day because I get weepy with no Mom and sons who live away. So tonight after a wonderful dinner I made it while he was showering. He was so surprised and had been craving and lamenting over a lemon loaf he’d seen earlier and didn’t buy. I did alter it a bit…our kids went to the Analfi Coast last month and brought us back a bottle of limoncello. Used that in place of lemon zest and lemon extract. It was delicioso!! There is 1/3c lemon juice below the oil but I don’t see when it is suppose to be added in. Hi Laureen! It’s used in the lemon syrup in step 3. Hope that helps! Made this cake for the first time EXACTLY as written and it came out PERFECT! I left the loaf in the pan when adding lemon syrup so it would all absorb and not run off. Just the right amount of lemon flavor and a very moist cake! I will make it again! It looks so so good! Cant wait to try!